Don’t worry about only having one shape to work with. 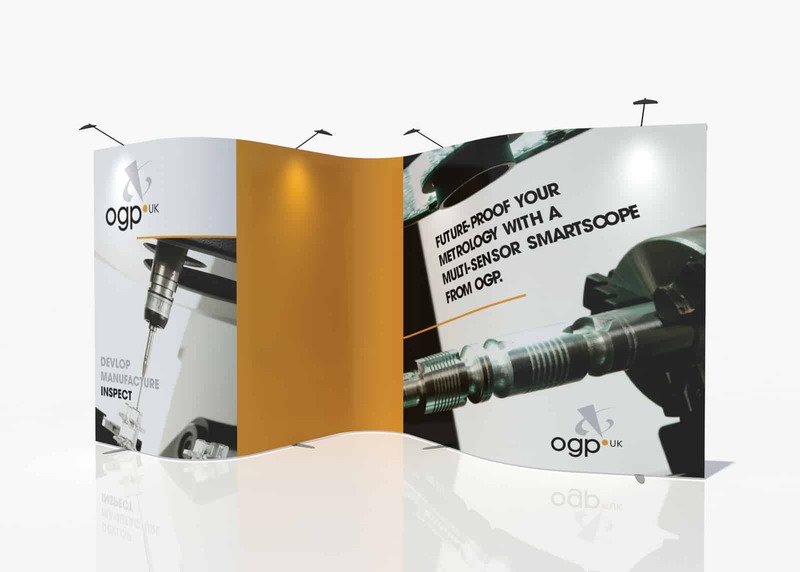 You can flex Ripple into almost any shape you want — and reduce or enlarge the size of your display to suit your needs. 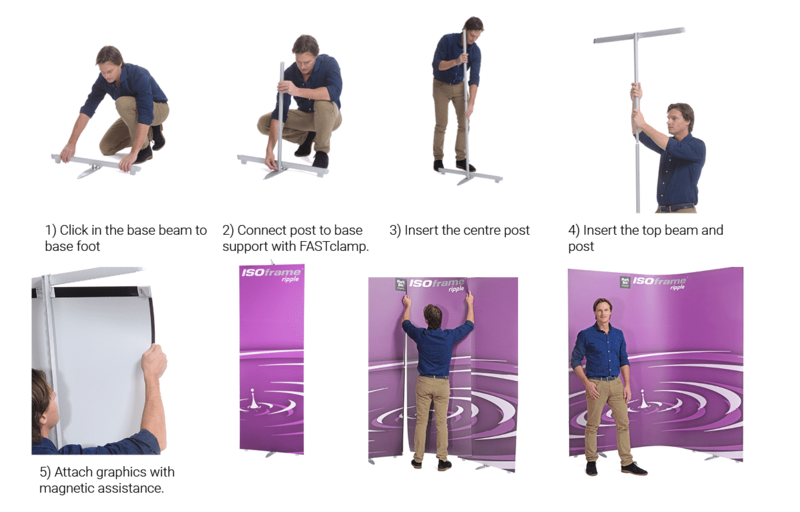 No matter how you shape your Ripple, you’ll enjoy a clean, modern display that provides a strong visual impact at your expos, trade evenings and more. 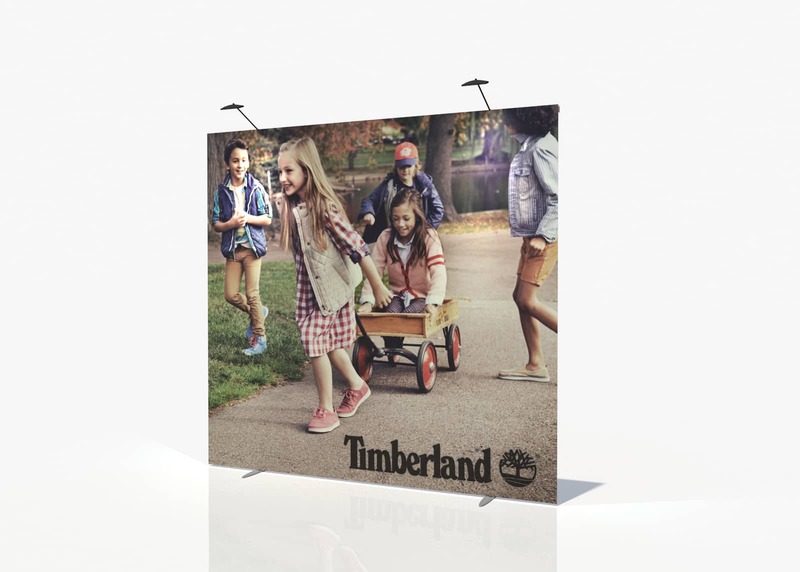 Attach the panels to a rigid frame for straight lines. 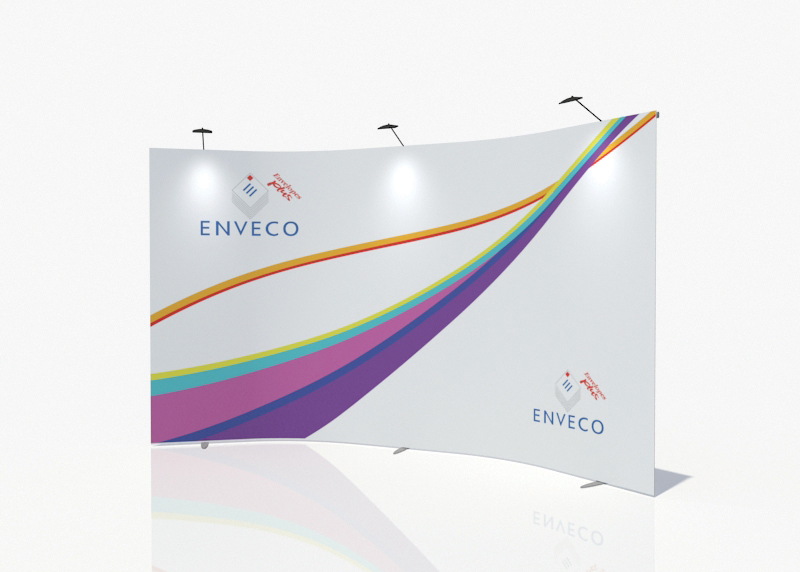 Use bendable links to include whatever curves you can imagine. 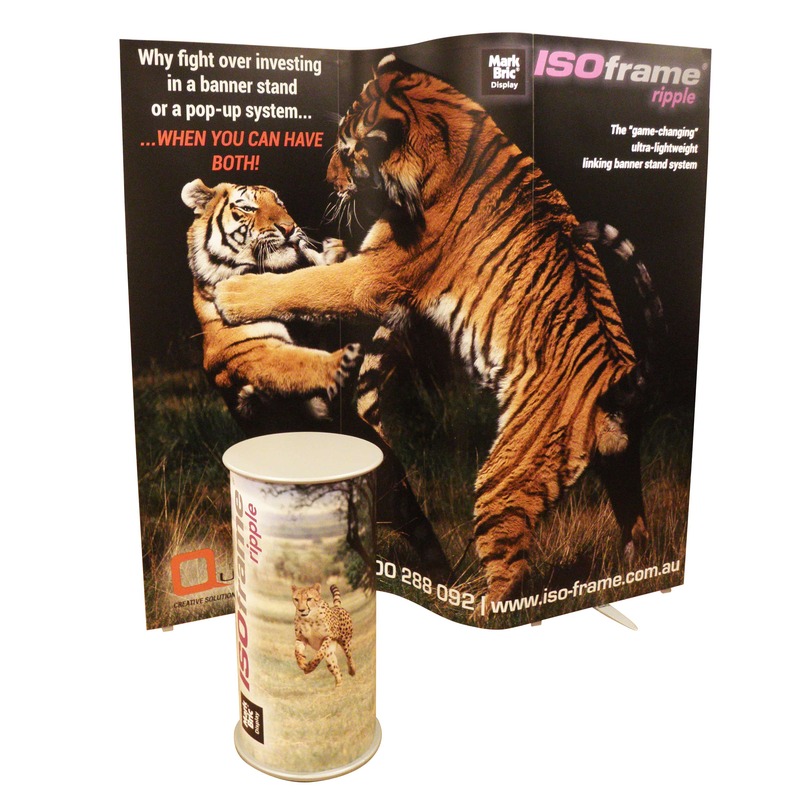 Showcase single- or double-sided images depending on your booth design. 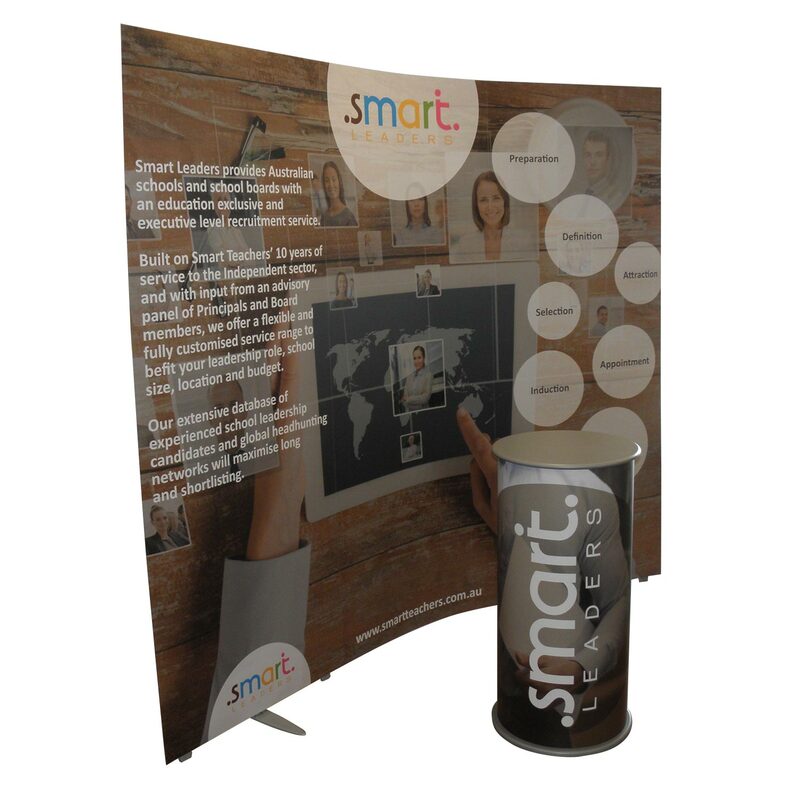 Instantly adjust angles and layout to refresh your exhibit. 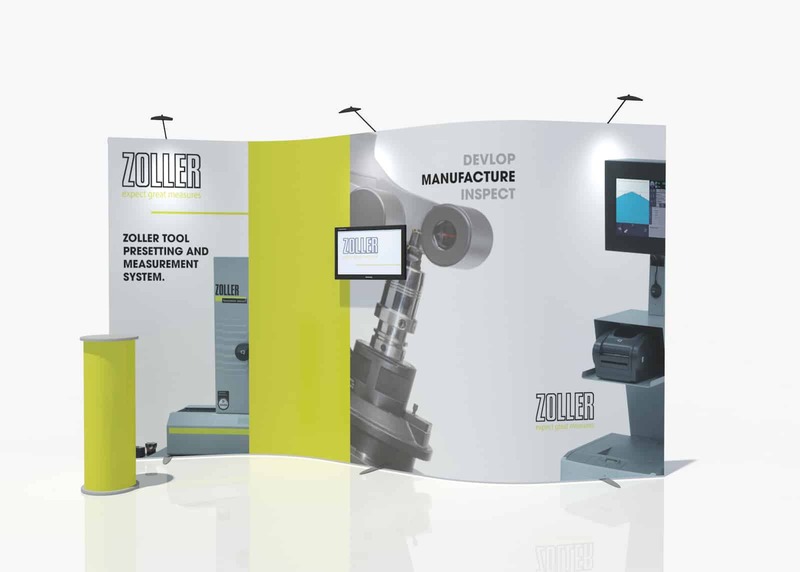 Re-use and reconfigure the display for future events, saving you time and money. Quickly transform the carrying case into a sleek counter. 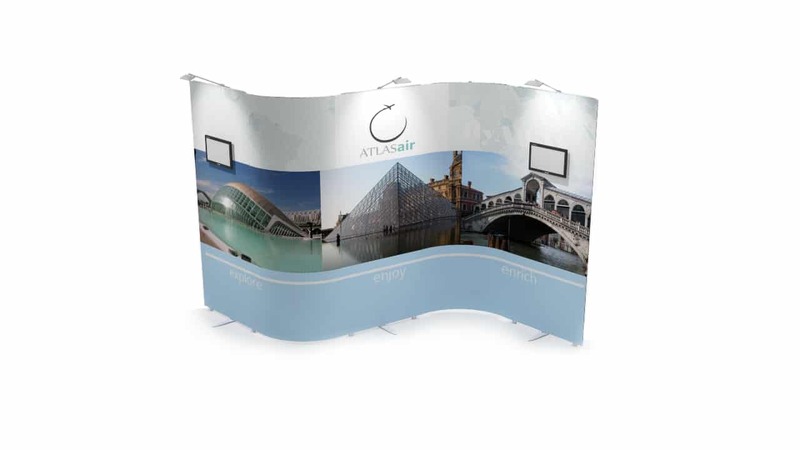 And with media screen attachments and spotlights available as accessories, Ripple is the most convenient, trade show display on the market. 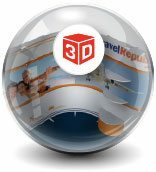 See a 3-D rendering of your display. 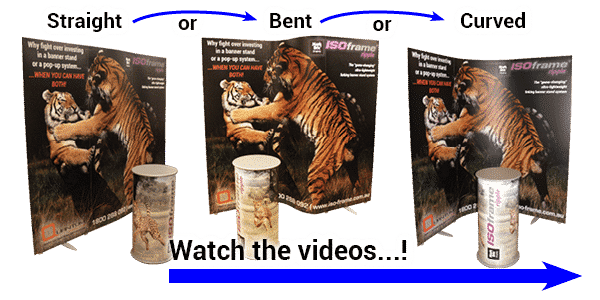 Free exhibit design and quotes! 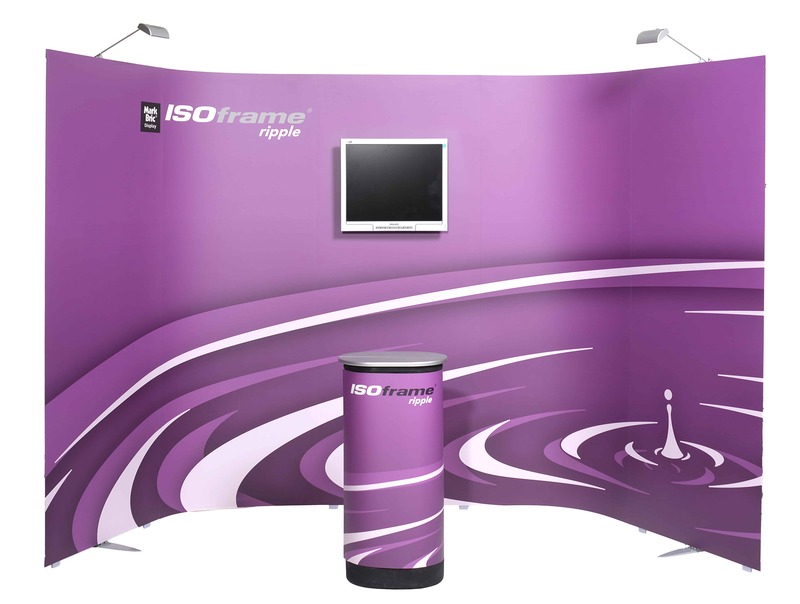 Flexible and extremely cost effective, the ISOframe Ripple will literally change the shape of your exhibition display experience. And assembly couldn’t be simpler or more intuitive.